My family and I reviewed the Samsung Galaxy Note 10.1, on behalf of Verizon. I was not compensated for my opinions or asked to speak about the company. 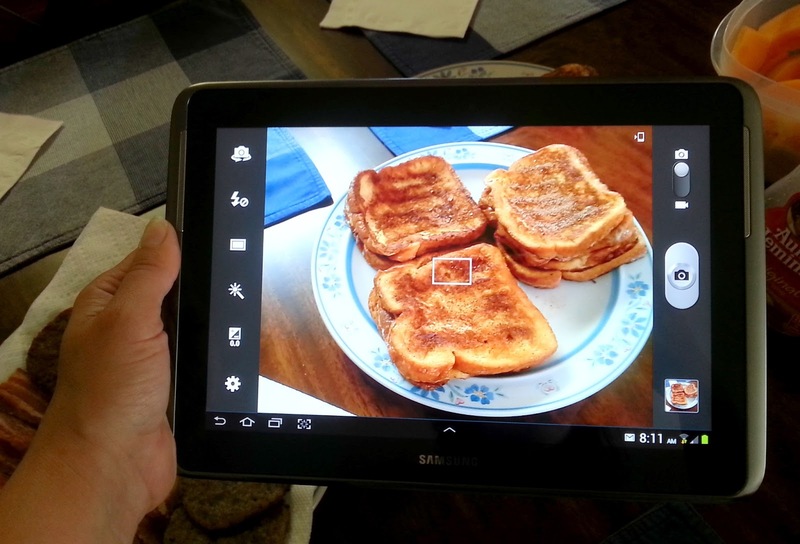 I was given the Samsung Galaxy Note 10.1, for two weeks to try in my home with my family. 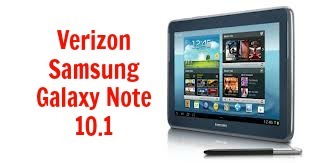 I am thrilled to shared with you 5 Reasons to Love the Samsung Galaxy Note 10.1 from Verizon! With the Samsung Galaxy Note 10.1 from Verizon, you'll get a powerful device that enhances your life style at work, at home or on the go! Fast Verizon 4G LTE - Verizon 4G LTE provides significantly increased speeds–up to 10x faster than 3G–so you’re more productive and responsive. Download movies in minutes, photos in seconds, plus games, news and email attachments. Speed is the key when you are seeking something quickly, and need answers now! What mom has the time to wait for a page to load? S Pen™ - With the enhanced S Pen™, you’ll find that you can finally use handwriting effectively on screen. Its .5 mm accuracy provides control, and it also features palm rejection to stop an unintended touch from becoming unintentional input. Do you find yourself thinking of things as you are out and about or watching little league? 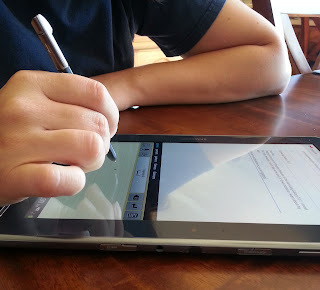 I loved that the S Pen™ was fluid like, and could "read," my hand writing! (That says a lot!) The ability to write, as I was thinking, and take notes through out the day, was a huge help! I loved that I was able to write an email, as if I was writing a letter! Seriously, this was my favorite feature of the Samsung Note 10.1! Multi Window Viewing - Use Cascade View to look at multiple apps at once, in an easily scalable format. 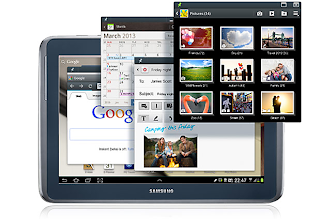 Or utilize Dual View to open two apps at once and view them in two panes arranged left–to–right or top–to–bottom. It’s Multi Window operation for your productive life. How many times, have you had to minimize, and try to open the numerous apps that you are trying to keep up to date with? I find myself missing tweets, emails, or status updates while I am editing photos! Not, any more! The multi window viewing was a dream, and made everything that I wanted to see, all in one screen! Lets see your tablet do that?! Photo taking - As an aspiring photographer and blogger, who never wants to miss a single memory or life's little moments, I love the Samsung Galaxy Note's ability to take great photos. It features a 5.0MP Auto Focus Rear Facing camera w/ Flash, 1.9MP HD Front Facing camera, and can be saved in BMP, GIF, JPEG, or PNG! The square in the center of the screen turns green, when you are focused and ready for the best photo possible!Share instantly with all of you social media channels or email contacts, in this all in one device! You wont miss a moment, as this tablet is beyond portable and light! Who needs to lug a huge camera around? Not this mom on the go! Perfect for Kids - Even little ones can use the Samsung Galaxy Note 10.1! 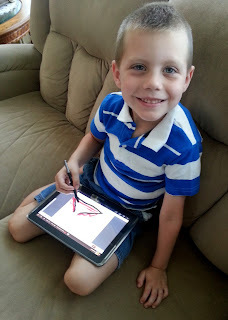 - My two boys love the Note 10.1, as the S Pen™ gave them the ability to learn letters, practice handwriting, draw, play games, and explore numerous learning apps. I loved that the S Pen™ fit their little hands, but gave them the movement of using a real pencil! My soon to be first grader thought it was amazing that it moved with him, was light to carry, and was a great option for use during car trips! The Samsung Galaxy Note 10.1, was a great resource during a bad weather situation where we had to take cover in the basement! 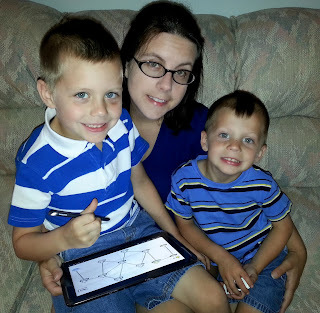 The kids were distracted, the Note 10.1 still carried full service with the fast Verizon 4G LTE even during the storm! My boys gave it two thumbs up, and this mom approves! 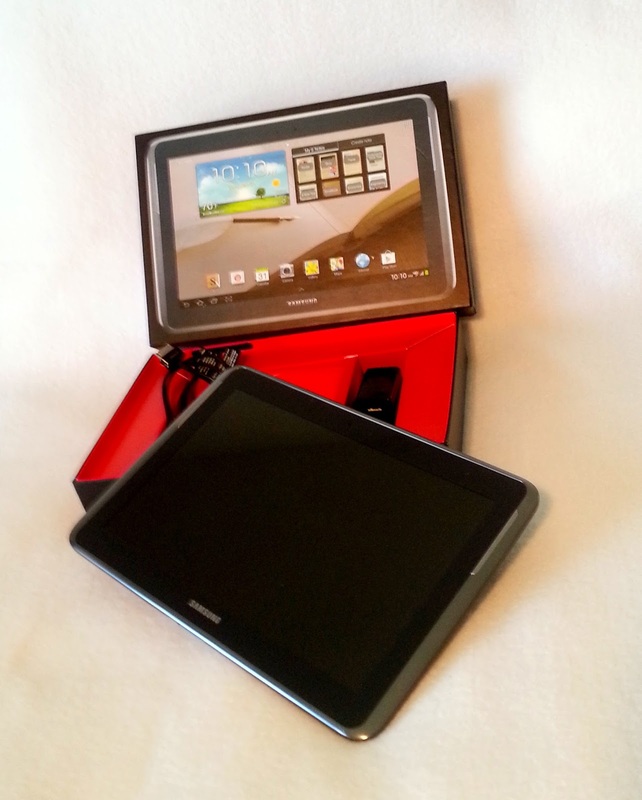 I was very happy that the Samsung Galaxy Note 10.1 from Verizon, was everything I had hoped that a tablet would be! It blew other tablets away, as it is light, fast, and great for the whole family! *I was not compensated or asked to speak about Verizon. I was loaned a product for my personal review, and tried it with my family in our home. All thoughts and opinions of the product are my own.